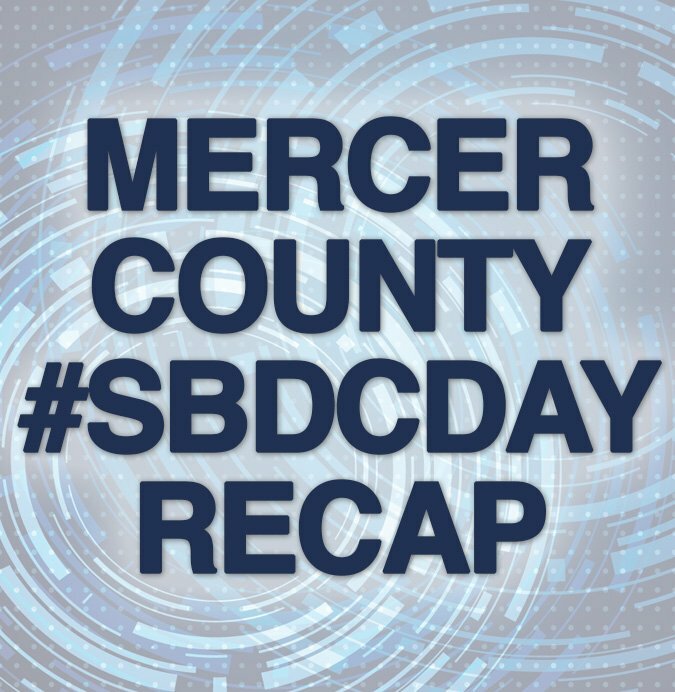 Ewing, NJ – On March 22, 2017, NJ Small Business Development Center at The College of New Jersey (NJSBDC at TCNJ) leveraged the power of LIVE social media video when it featured six Mercer County, NJ businesses on Facebook Live as part of National SBDC Day. The video interviews, available in English & Spanish at https://www.facebook.com/sbdcnjfan/, were hosted by NJSBDC at TCNJ Lorraine Allen, regional director, and Lilian Mauro, assistant director, who led in-depth and insightful conversations filled with real life advice and tips. Throughout the day, Allen and Mauro interviewed Mercer County small business owners at their locations to showcase aspects of their unique entrepreneurial journey, which also provided an opportunity to tout their goods and services. Several local established small business leaders who have benefitted from working with the NJSBDC at TCNJ participated in the daylong video series on Facebook Live and shared their own personal anecdotes on growth and success. National SBDC Day was a first of its kind collective proclamation of the success and impact among the 1,000 America’s Small Business Development Centers (SBDCs) have across the nation in economic development and the small businesses community. The NJSBDC at TCNJ (www.sbdcnj.com) consistently supports the Mercer County business community through business counseling, educational programs and events both in English and Spanish. NJSBDC@TCNJ is one of only a few centers in New Jersey consistently offering a business counseling program in Spanish for Latino-owned businesses in Mercer County. NJSBDC at TCNJ also holds Mercer Keep It Local, a monthly networking breakfast held designed to bring together small businesses throughout different venues in Mercer County. Keep It Local is a series of no-cost events sponsored by Customers Bank of Hamilton, NJ. Small Business Development Center – New Jersey at The College of NJ (NJSBDC at TCNJ) is an accredited member of the ASBDC-NJ network, a network of 12 small business development centers throughout the State of New Jersey. The NJSBDC at TCNJ provides free and confidential small business management counseling and low-cost comprehensive training workshops to assist the small business communities in greater Mercer County. For more information about counseling services and training visit http://sbdcnj.com.